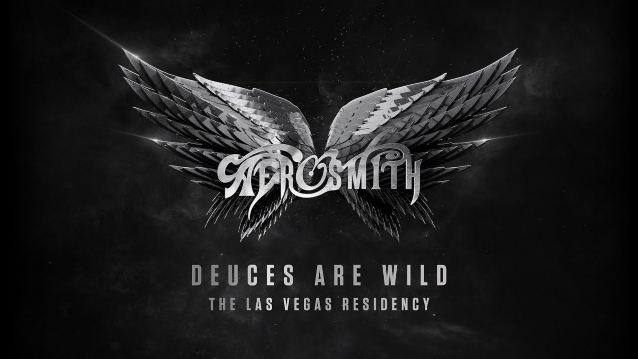 Due to extraordinary demand, AEROSMITH has announced 17 additional dates for their headlining Las Vegas residency at Park Theater at the new Park MGM resort. America's all-time top-selling rock 'n' roll band will launch "Aerosmith: Deuces Are Wild" on Saturday, April 6. The newly added dates are: September 21, 23, 26 and 28; October 1, 3, 6 and 8; November 14, 16, 19, 21, 24, 26 and 29; and December 1 and 4. Tickets go on sale February 15. Says the band: "Sin City, we are coming back for round two! We've added 17 new shows from September 21st - December 4th to our 'Deuces Are Wild' Las Vegas Residency at Park Theater at Park MGM!" Aero Force One exclusive pre-sale access begins Wednesday, February 13 at 9 a.m. PT. Citi pre-sale begins Thursday, February 14 at 10 a.m. PT. Public on sale Saturday, February 16 at 10 a.m. PT. A limited number of tickets are still available for previously announced shows in April, June and July. AEROSMITH's Las Vegas residency, promoted by Live Nation and MGM Resorts International, will bring you face to face with America's greatest rock 'n' roll band in one of the most immersive, state-of-the art audio and video technology experiences in Las Vegas. The show features never-seen-before visuals and audio from AEROSMITH recording sessions. Grammy Award-winning producer Giles Martin, known for creating the soundscape for "The Beatles Love" by Cirque du Soleil show in Las Vegas, will create a spectacular show experience. AEROSMITH has teamed up with THX and L-Acoustics for their upcoming breakthrough residency at Park Theater to deliver the world's first THX Certified live performance presented in L-ISA Immersive Hyperreal Sound. AEROSMITH officially formed in Boston in 1970 and last performed this past Sunday at Steven Tyler's second annual Grammy Awards Viewing Party to benefit Janie's Fund. In 2017, AEROSMITH announced a run of dates called "Aero-Vederci Baby! ", but stopped short of calling it a final tour. 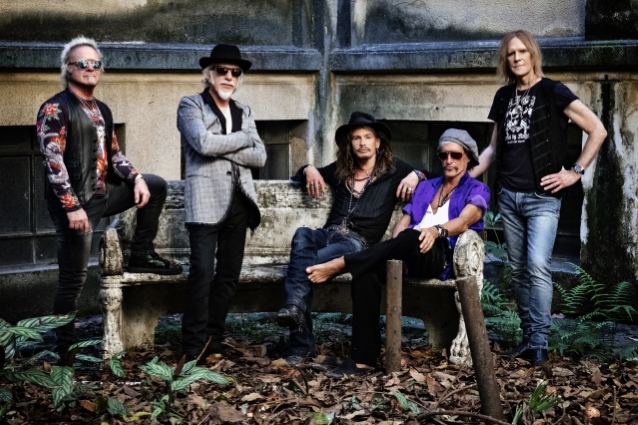 AEROSMITH hasn't released a new studio album since 2012's "Music From Another Dimension!" Park Theater is the entertainment centerpiece of Park MGM, a partnership between MGM Resorts International and New York-based Sydell Group which features two distinct hotel experiences including a Las Vegas version of Sydell's widely acclaimed NoMad Hotel. The 5,200-seat Park Theater, with its cutting-edge audio and visual technology, provides artists of diverse talents with a dynamic space to create one-of-a-kind productions where every seat allows guests to feel up close and personal. From comedy shows and live concerts, to sporting events and award shows, the theater is specially designed to transform seamlessly for any occasion.